Electra, named after the feisty daughter of cattle baron W.T. Waggoner, is located in the western edge of Wichita County. The Waggoners were pioneers in the area when they established their cattle headquarters here in 1878. Their property almost completely surrounded the original town site. Confusion over the delivery of mail to the Waggoner post office and the name of the town, Beaver Switch for nearby Beaver Creek, led residents in 1902 to circulate a petition changing the name of the city to Electra in honor of Electra Waggoner. The town site opened in October 1907. In 1911 an oil company leased a tract of land from W.T. and the famous North Texas Oil boom was begun as fortune seekers came to stake their claims. Today, Electra continues its agricultural and oil impact in North Texas. Farm and ranch land surrounds the town and most every field is punctuated with an oil well. Manufacturing is another strong economic force to the city. An industrious and enthusiastic city government and school system make Electra an exciting city to live in and raise a family. A progressive hospital offering a plethora of services, a physician clinic, family practitioners, internist and general surgeon assure the best of healthcare services not found in many small cities. 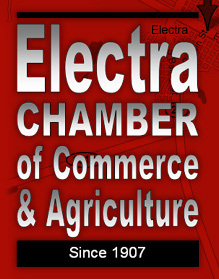 The Electra Board of Trade, organized in 1908, became the Electra Chamber of Commerce in 1921. Today, the Chamber is extremely active. The annual Electra Goat Barbecue is one of the busiest and most exciting events hosted by the Chamber. There are also the annual homecoming events, semi annual City Wide Garage Sales, Scarecrow Festival, and an annual visit from Santa Claus. Restoration of the historic Grand Theatre built in 1919 is underway as a citywide project. 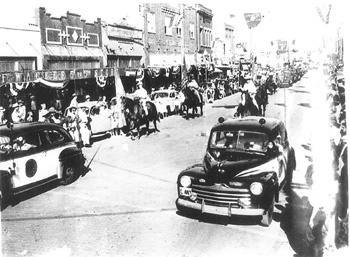 For over 100 years Electra has been a vibrant community rich in history and ripe in personality and was designated a Main Street City in 1998 and a National Main Street City in 2000.